The best example for the perfect packaging in nature is the egg. The quality of protection an egg provides for its content, mechanically as well as from any atmospheric influences, is almost impossible to replicate. The statics of an egg is legendary and has inspired many applications within bionics, e.g. a primary example being in building construction. Just like in the case of an egg, high demands are placed on packaging used for preservation purposes. It must protect the valuable cultural artefact from any external influences and compensate for climatic fluctuations, while remaining emission-free and hygroscopic. 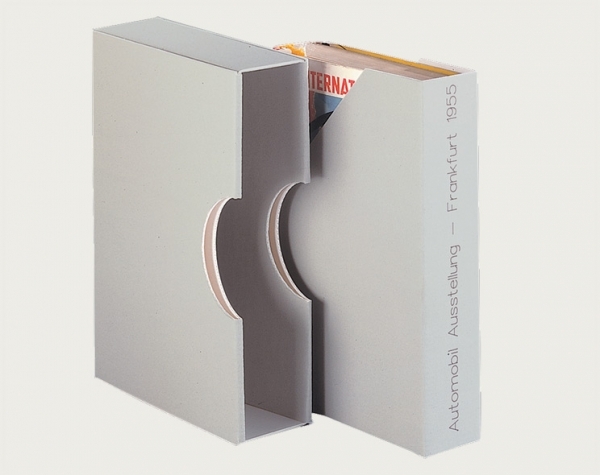 Wraparound boxes are a logical development of familiar folder constructions. Starting from folders with three flaps, the aim was to meet a need for better protection through thicker materials and suitable closures. 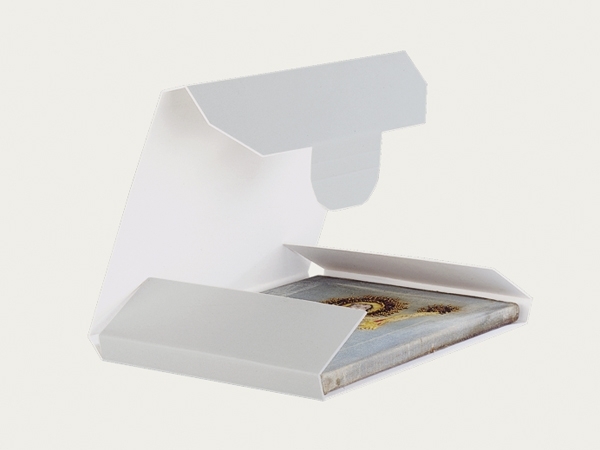 Effective protection of many kinds of cultural artefacts can be achieved with economical and material-saving wraparound boxes. 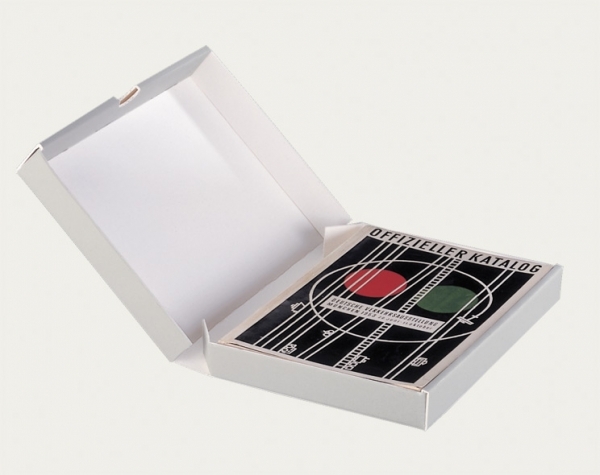 The advantage of a slipcase with shelf file is that the slipcase can remain in the shelf as a placeholder when the shelf file is removed. This prevents alternative occupation of the free space or adjoining objects from falling over. 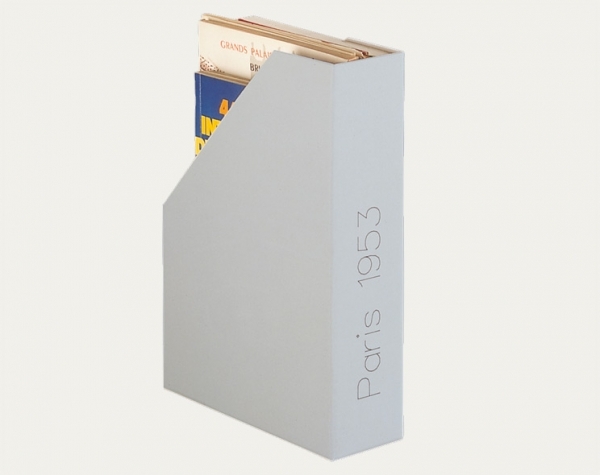 Slipcases with shelf file in combination with standing aids are excellent when gradually filling a shelf e.g. with periodicals, magazines etc. Shelf files are often used as economical, order-creating units. 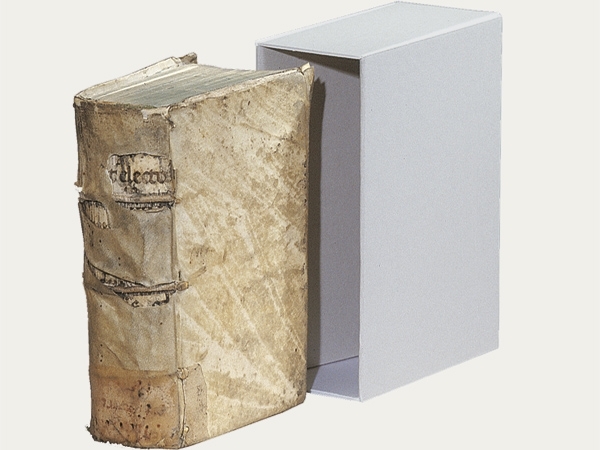 A shelf file in combination with a standing aid is great when gradually filling a shelf e.g. with periodicals, magazines etc. Archives aim to order, keep and preserve archival material as well as to make it accessible for use by the general public. 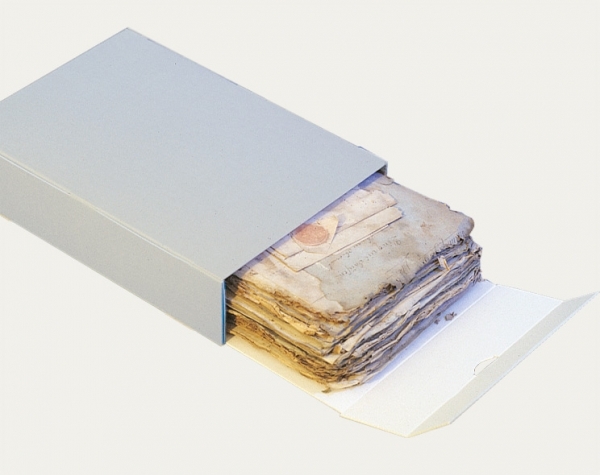 Archival storage boxes in archives serve an important function: they protect, retain and form a unit out of a mass of loose records. 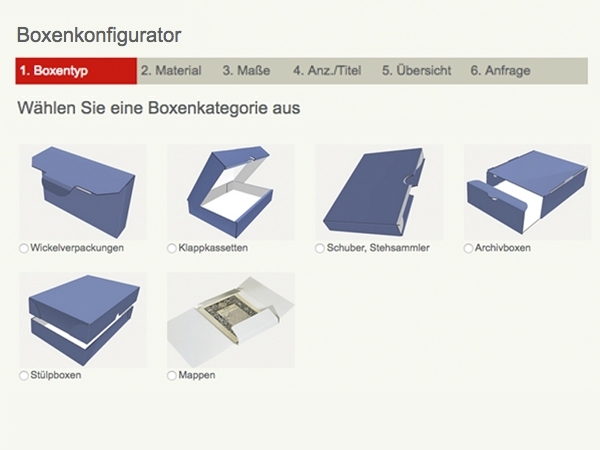 The archival storage box is the most commonly used form of packaging in this area. Two-piece boxes of all sorts of designs and sizes are used for a great variety of objects of cultural value. 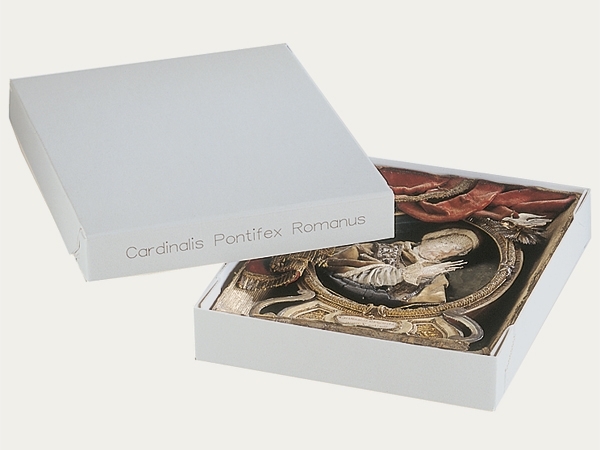 Two-piece boxes are often a very good choice, from very small folded boxes such as for thimbles, to very large versions – sometimes composed of several parts assembled with jigsaw puzzle style connections – for storing items like large textiles. 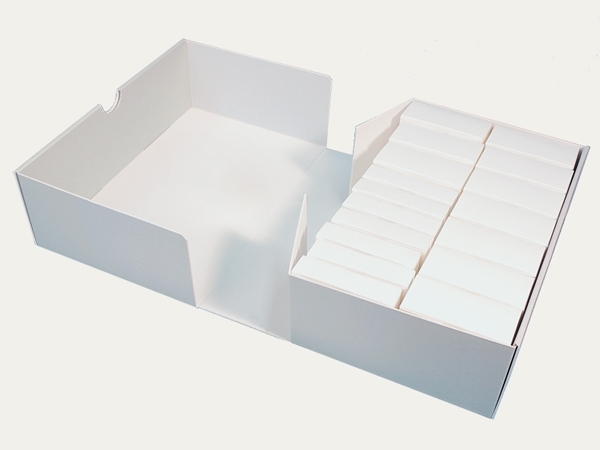 Folded boxes for roll films are made of unbuffered, natural white, 0.5-mm-thick photographic archival board. They replace the often sceptically regarded plastic packaging originally supplied with the film. In addition to our standard range of available products (product overview), you have the option to configure your own individual customised product here.